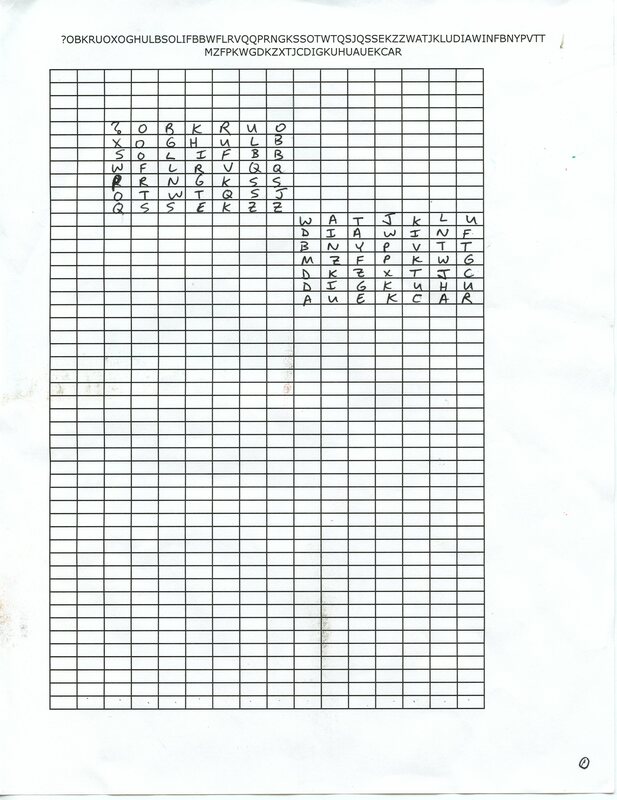 So in Kryptos K4, there are probably 98 characters but only 97 letters with the ? being either the end of K3 or part of both K3 and K4. If you take 98 letters and check the multiples, you’ll find that 7×14 works out alright. This originally seemed significant to me because KRYPTOS is 7 letters long. It didn’t really work out. After a lot of frustration and some mulling over, I realized that it would just as easily work as two 7×7 grids. And the really interesting thing with that is you can see the double letters line up on the ends of the rows. Tags: K3, k4, kryptos, original grid?, original matrix?